Kerala's fourteen districts are distributed among Kerala's three historical regions: Malabar (northern Kerala), Kochi (central Kerala), and Travancore (southern Kerala). Malabar is a region of southern India, lying between the Western Ghats and the Arabian Sea, and derived from the Malayalam word Mala mean Hill and Persian word Bar means Kingdom, and is the same as the word meaning of word Malayalam. Meaning of both word Malayalam and Malabar is the same and is Hill country. However Northern part of the former British East India company controlled the Madras State called Malabar Taluk and later known as Malabar. 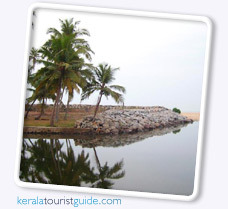 It included the northern half of the state of Kerala. The name is sometimes extended to the entire southwestern coast of the peninsula, called the Malabar Coast.